This CV details my work as a paid employee: for more information on what I've been up to since going freelance, please check out my portfolio. I get things done. I love practising effective processes for doing this, like feature-driven development (FDD), agile methodologies like Kanban and scrum, and simple day-to-day strategies like GTD. But more than that, I love it when my work starts doing some good. I architect, build, optimize and launch high-­profile content-­managed sites, predominantly in the non-­profit sector. I can interact closely with clients but I’m happy with whatever the project’s success requires. I negotiate, specify and deliver deliver consistently to deadlines and budget. I can lead teams or just be part of them through negotiation, technical direction, architecture advice, knowledge sharing and encouragement of team discussion and internal problem solving. I contribute to and oversee project documentation, and I encourage pair programming and regular code reviews to maintain and improve the quality of work from the team. I contribute to the open-source community. I build Drupal modules and patch bugs in others’ contributions. 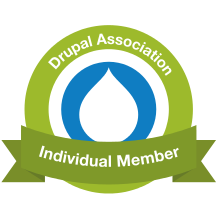 I've built several frameworks, underpinned by open-source tools, which teams have used to develop and deploy Drupal sites. I organize and present the Oxford Geek Nights, a local tech event that has run for over five years. I find and invite keynote speakers for each event, and arrange sponsorship for venue and drinks. I have spoken at tech conferences, and attend events like OpenTech and barcamps. I wrote two chapters of Apress’ “Python 3 for Beginners” and have a clear technical style. I can set up web servers with LAMP, Memcache and Varnish. I have installed Ubuntu Linux on a Macbook Pro. I get a kick from well-implemented version control and successful unit tests. My portable music player plays .ogg files. I am a pragmatic, excited, devoted geek. Technical lead Aug 2009–present Leading team by ensuring code quality and shared standards. Architecting, specifying and coding; using FDD and Kanban. Senior developer May 2008–present Led adoption of Drupal in Torchbox using scrum; architected, built and maintained sites; discovery, specification and pitching. Developer Apr 2005–Apr 2008 Built MVC Coldfusion framework powering multiple sites; built and augmented other sites using a proprietary CMS; sole developer on Torchbox’s first two Drupal sites. Junior developer Jan 2005–Mar 2005 Built MLA East Midlands, combined 3-site RationalMedia project. Freelance writer Jan 2009–Mar 2009 Co-authored the book "Python 3 for Absolute Beginners." ePublisher Sep 2003–Dec 2004 Built QC tools in XSL to aid by-eye XML checking; managed offshore XML extraction services and web production/publication process for several dozen journals in health and humanities fields. Several government sites: please ask for details. Cycling, music, environment, fiction reading & writing, sustainable living, local politics, current affairs. 1. All dates of internal promotions are approximate. 2. A-levels NEAB: Mathematics; Further Mathematics; Physics; Chemistry; General Studies; also OCSEB Components Maths Pure 1 & 2 (A) earlier in 1993; Physics special paper (distinction). 3. GCSEs NEA, SEG: Mathematics; Physics; Chemistry; Biology; English; French; Latin; German; also Religious Studies (B) in 1991.